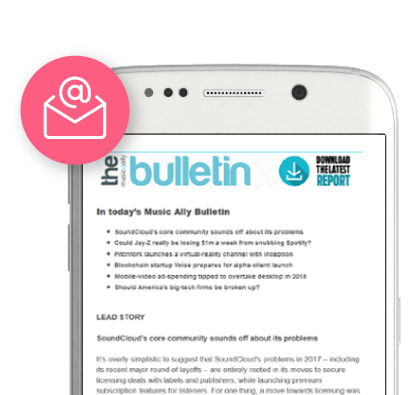 The latest news from the digital music business and access to 15 years’ worth of global information and data. You can choose a trial of the service, where you get access to all Articles, plus the latest Reports. Subscribe using our monthly, half-yearly or annual payment plans and you will immediately get access to the whole of Music Ally’s archive going back to 2002.